The importance of the medical physics profession and medical physicists is widely recognized by the international bodies like ILO, IAEA, EC, etc. The description of a medical physicist’s qualification framework, their role and responsibilities have been addressed in the legislative and regulatory frameworks of developed countries like the USA (in 10CFR) and the EC (EC RP 174) and less comprehensively in developing counties like Pakistan. AFOMP has contributed positively in various regulatory and policy matters regarding the medical physics practices in Asian countries. Furthermore, the recommendations of IAEA’s regional meeting on “Medical Physics in Europe—Current Status and Future Perspective” in Vienna, 2015, address the need and mechanism of a harmonized framework for medical physicists’ qualifications. The lack of a comprehensive professional recognition framework becomes more challenging when we see that hi-tech diagnostic (e.g. PET CT) and therapeutic (e.g. cyberknife, VMAT, tomotherapy, etc.) modalities are now available in many parts of the world, including Pakistan which still have a basic level of medical physics qualification and practices. Therefore, international efforts like the above-mentioned IAEA-EC meeting in 2015; and by AFOMP activities related to training, qualification and recognition of medical physicists can provide a pathway to further improve medical physics practices in the developing world. The objective of this review is to (i) summarize the international practices for the legislation and regulation of medical physics, (ii) provide a brief overview of the medical physics practices in Pakistan and (iii) discuss the applicability of the IAEA-EC meeting’s recommendations to the case of Pakistan. The review highlights the areas which are addressed in IAEA-EC meeting and could be beneficial to other nations as well, particularly, for low and middle income countries. 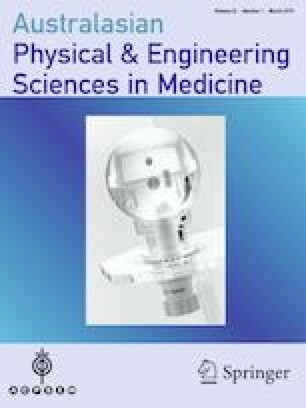 The review also presents few suggestions how to progress with the medical physics profession in developing countries in general, and in Pakistan in particular. These suggestions also include further possible pathway the IAEA could consider, like IAEA project or meetings, to further strengthen the medical physics profession globally. The authors acknowledge the assistance of W H Round in the preparation of this paper. Mishkat Ali Jafri, Salman Farrukh, Nasir Ilyas, Sajjad Memon declares that they have no conflict of interest.